Available on-line from CMKEShop for €20.50, Hannants for £20.60 and Modelimex for €21.46. Cowls aside, it looks easy to build and is up to modern standards with good levels of detail for the scale. A lot of care will be needed to accurately locate the exhaust ejectors on the cowls as their locations are un-marked. It’s great to have good quality modern and affordable kits of the Havoc & Boston family. In the case of this late version it is just a pity that the ejector exhaust on the cowls weren’t better tooled. The Douglas A-20 Havoc/Boston series started life as a somewhat underpowered company project known as the Model 7A in 1936. By 1937 a USAAF specification called for a light bomber design broadly similar to the Model 7A, although with twice the power. A redesign was undertaken and the Model 7B resulted. 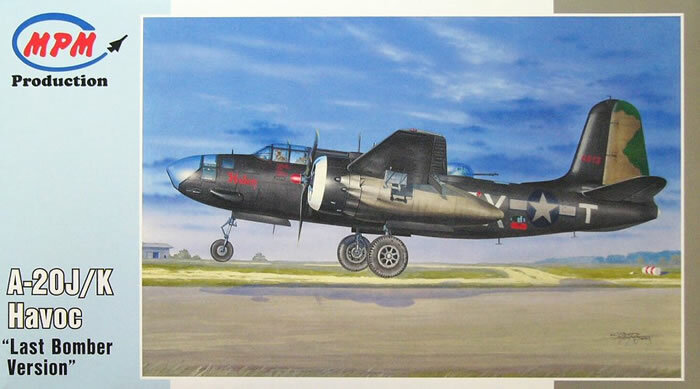 This prototype was involved in a competitive fly-off with several other designs, including those that would go on to become the Martin 167/Maryland and the North American B-25 Mitchel. In fact the competition was won by the Mitchel pre-cursor. Regardless of this, the Model 7B had attracted considerable attention from the French who, despite the USA’s staunch policy of isolationism, were allowed to observe the trial and even fly in the prototype. So it was the Armee de l’Air became the first operator of what was by then known as the Douglas DB-7. Following this the USAAF took notice and ordered a small number of as the A-20 Havoc. The British Aircraft Purchasing Commission had also expressed considerable interest in the DB-7 early in 1940, and shortly after the fall of France the RAF took over French orders as well as placing their own orders. The plane was taken into service as the Boston with various Mk numbers equating to either DB-7 or A-20 versions. The A-20J/K reviewed here represents the last two bomber versions produced, and were also known as the Boston Mk IV & V respectively. The Havoc./Boston served widely and well in a number of roles during WW2 in all major theatres of operation, and in fact the largest operator was the Soviet Air Force. The Havoc/Boston family has been very well represented in 1/72 scale. 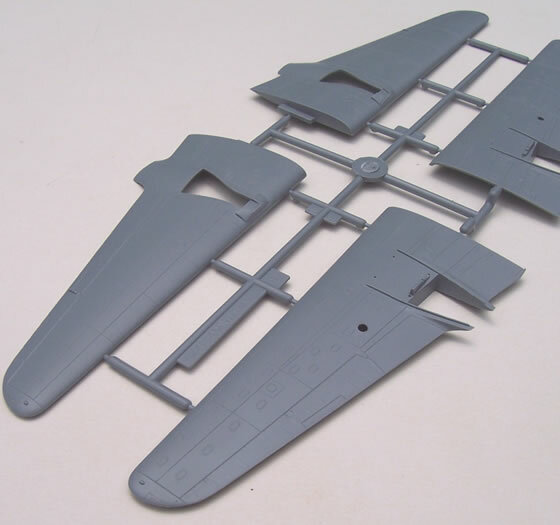 The earliest two 1960s offerings were from Airfix and Revell, the latter with both bomber and night-fighter boxings. Both could be made into quite respectable models, but were typical of the time and covered in rivets. The next was by Matchbox in I think the early 1980’s. Representing the later power turret versions, from memory it had Matchbox trench-lines and oversized engine cowls. High Planes then came along with a whole family of versions starting with the French operated DB-7 and even offered a Turbinlite boxing. Like most High Planes kits these were distinctly limited run and needed a fair bit of work, but very good results could still be achieved. Finally, the MPM Group recently produced what for many are the definitive Havoc/Boston releases. 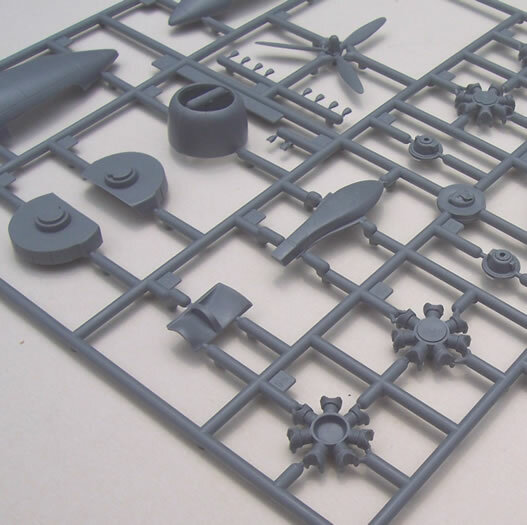 They have issued a number of boxings under the MPM & Special Hobby labels, providing us with modern injected kits of this important type, one example of which is the subject of review here. 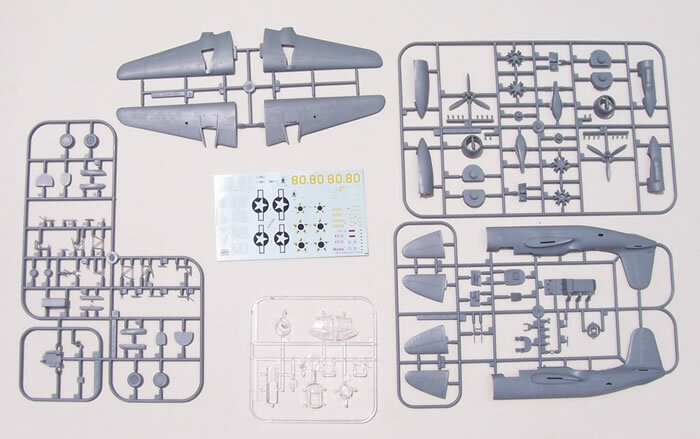 The kit is of the last major Havoc variants, the A-20 J & K. It typical of the more recent MPM Hobby releases, although it is boxed with attractive artwork in a top rather than an end-opening box. 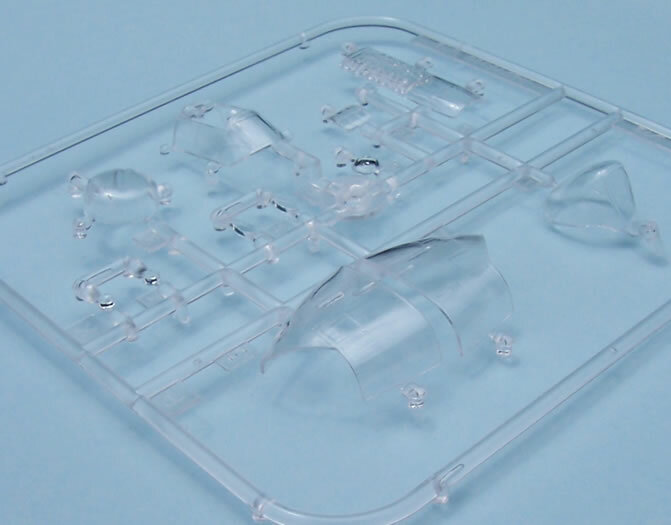 The cleanly moulded parts without locating lugs are sealed in their own plastic bag, as are the styrene clear parts and decals. The instructions provide a brief aircraft history in both English and Czech. An easy to follow parts map is included. The constructional diagrams are well drawn, provide colour call-outs and are straightforward to follow. The painting and decaling guides are black & white shaded 4-views with generic paint names colour codes for Gunze Sangyo and a brand whose logo was too small for my old eyes to read! In fact the painting guides are just adequate, but really a bit small. This aspect is an area that the MPM group could improve upon. 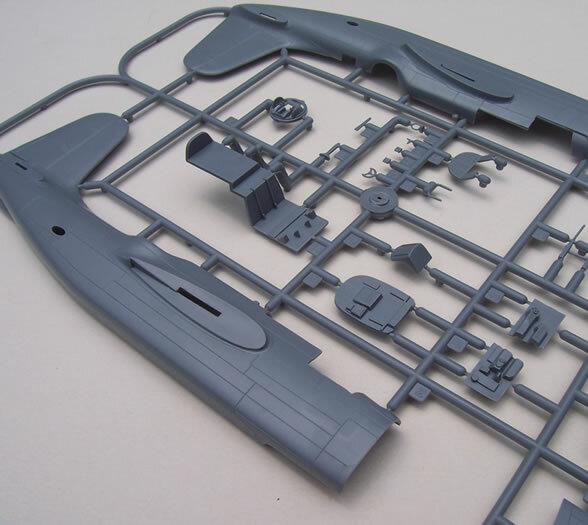 The kit breakdown is thoroughly conventional and all parts seem crisply moulded with only very minor cleanup needed here and there. 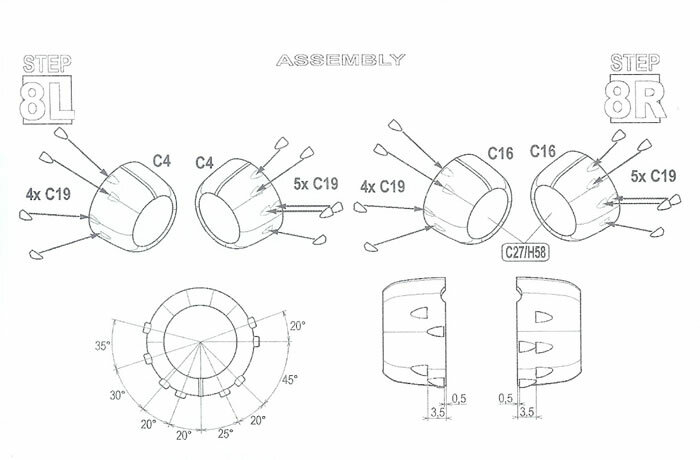 The cowls will offer some fiddly bits as the multiple ejector exhausts are moulded as separate parts without any indication moulded on the cowls as to where they should attach. Instead the instructions give several diagrams indicating their locations with various angles given for their distribution. This situation has presumably arisen due to both tolling limitations and a desire to use the same parts on other versions. I feel MPM should have provided these cowls as resin items s they often do with other releases. Cockpit detail is nicely done and quite adequate for the scale. The clear parts provide for the cockpit to be modelled open, but this exposes the area where the life-raft was stowed, although this item is absent. Clear and acceptably thin canopy parts will enable all this cockpit detail to be admired. 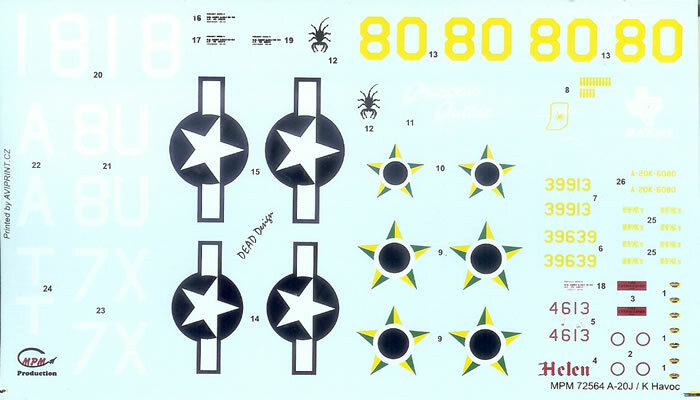 Decals for three USAAF and one Brazilian Air Force version are offered. The decals look to be well printed with good registration and opacity. 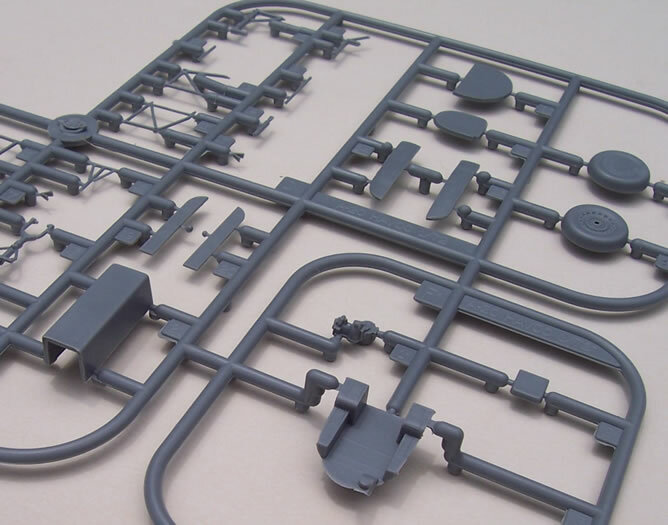 This is a nicely detailed and moulded kit of an attractive and important subject. I’m sure many will welcome this new series of modern havoc/Boston kits. I just wish in the case of this version MPM had provided either resin cowls or alternate cowls with teh ejector stack locations marked.